Our hall is ideal for Discos, Bouncy Castle Parties, Ball Pools and Children's Soft Play. 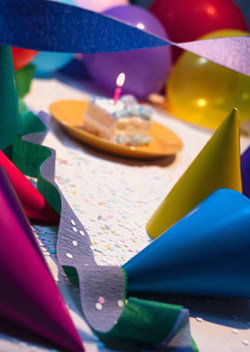 Just contact us at Springwood Community Centre and we will make all the arrangements, explain the charges and provide you with party invitations. We can also arrange for your party table and party food too if you wish. Please contact Naomi Shaw or Lyn Unsworth by clicking here.